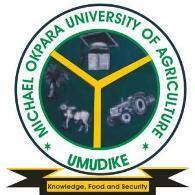 Michael Okpara University of Agriculture, Umudike (MOUAU) 2018/2019 academic session registration procedure for the candidates offered provisional admitted into its Undergraduate (B.Sc.) Part-Time programme. See MOUAU part-time registration procedure below.